The National Highway Traffic Safety Administration (NHTSA) closed its investigation into the fatal Florida crash last May of a Tesla using the company's Autopilot driver-assist system. The Model S in question collided with a tractor trailer that turned left in front of it, killing the driver, who was the electric car's sole occupant. At the time, Tesla said that "neither Autopilot nor the driver noticed the white side of the ... trailer against a brightly lit sky, so the brake was not applied." The NHTSA opened its investigation last June, and now says the crash was not caused by a safety defect. In its official report, the agency said that "further examination of this issue does not appear to be warranted," and that the investigation is now closed. However, it noted that the "closing of this investigation does not constitute a finding by NHTSA that no safety-related defect exists," and that it will continue to monitor the issue and take further action if necessary. Despite its name, Autopilot is not an autonomous-driving system, but rather a bundle of driver-assistance features, including automated emergency braking and an auto-steer feature that keeps a car centered in its lane. Investigators concluded that the automated-braking system's capabilities were "in-line with industry state of the art" through the 2016 model year. The NHTSA noted that, while these systems are designed to prevent rear-end collisions, triggering automated braking for cross-path collisions—as in the Florida crash—is "outside the expected performance capabilities of the system." 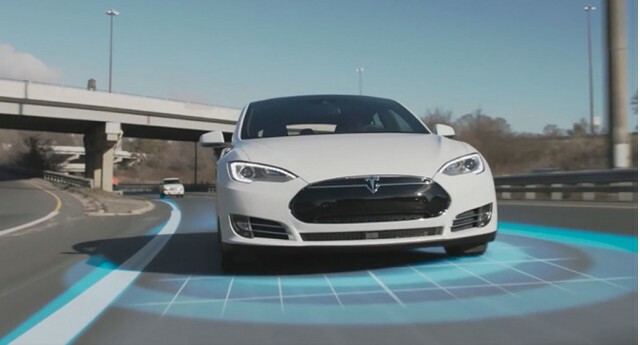 The version of Autopilot in the Model S involved in the fatal crash used the Mobileye EyeQ3 processing chip, which uses a database of images of the rear ends of vehicles to make identifications. "Complex or unusual vehicle shapes may delay or prevent the system from classifying certain vehicles as targets/threats," the NHTSA report said. Following the crash, Mobileye stopped supplying components to Tesla, and the carmaker now uses Nvidia hardware instead. 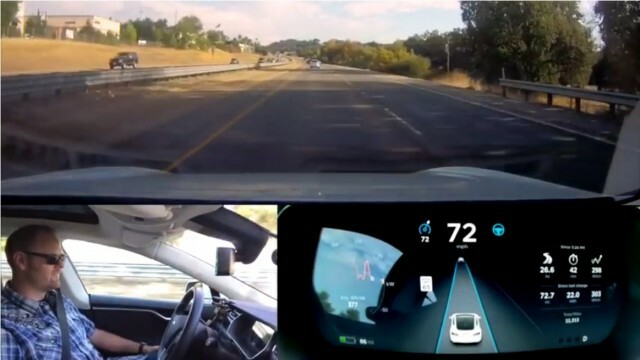 Autopilot is only effective on highways with clearly-marked lanes, and even when operating perfectly, it does not provide sufficient automation to excuse drivers from paying attention at all times, the NHTSA noted. "Although perhaps not as specific as it could be," the NHTSA said, Tesla does provide information about Autopilot's limitations in owners' manuals, the in-car interface, and through various warning messages that appear when certain driver actions are taken. The agency also took note of a recent update that deactivates Autopilot until the car is restarted if the driver does not respond to prompts to keep his or her hands on the wheel. 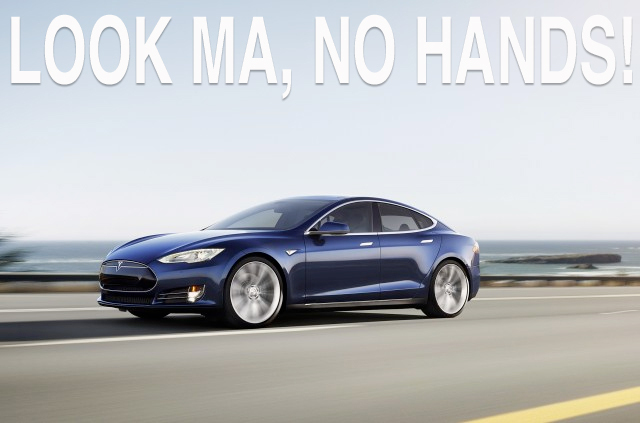 Based on data of 2014 through 2016 model year Tesla Model S and 2016 Model X crashes in which airbags were deployed, the NHTSA found that the crash rate for Tesla cars dropped by about 40 percent after the Autosteer function of Autopilot was added. That was something Tesla CEO Elon Musk was quick to note on Twitter, where he also called the NHTSA report "very positive." The crash had triggered significant criticism of Tesla over its deployment of Autopilot, including questions about the possibly misleading nature of the "Autopilot" name, and Tesla's decision to make the system available to customers in what was implied to be an incomplete "beta" stage. Autopilot's status as a "beta" prototype rather than a completed product was not directly addressed in the NHTSA report.